Today is a lid down, no cracks kind of day. It’s cold enough for there to be snow in the air. Early in my gardening career, I spent many hours pouring over a secondhand copy of Crockett’s Victory Garden (1977) which held schematics of mysterious structures called cold frames, hot beds and cloches. 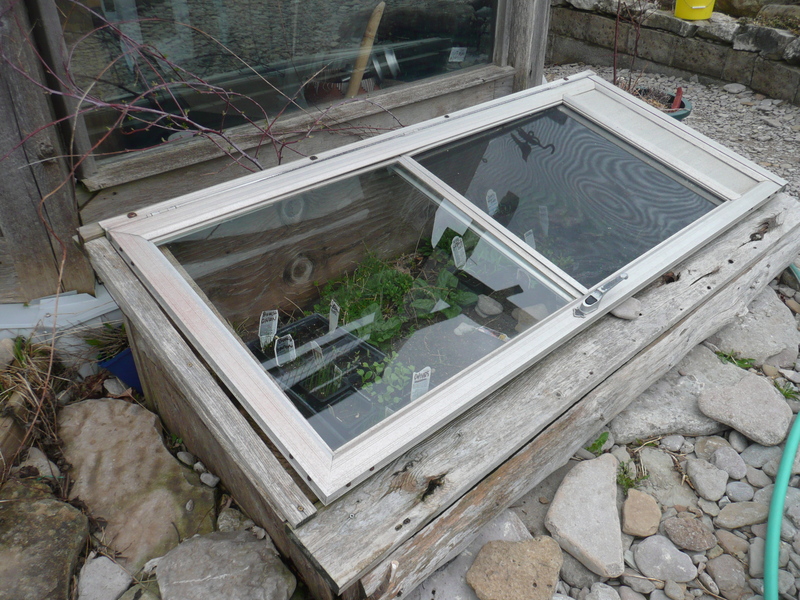 I knew if I wanted to be serious about this gardening thing, I needed a cold frame. Using a discarded storm window and odds and ends of wood, my husband built me one. 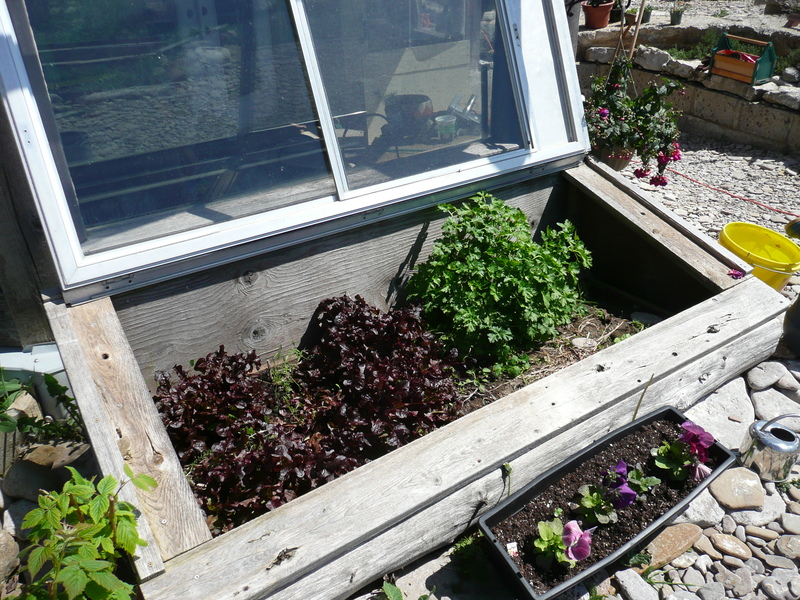 That original cold frame gave up the ghost last fall after 20 years, finally falling to pieces as I tried to move it to its winter home. It survived moving from the Kitchener core to Wiarton then further north to our rural home. It lost it’s glass twice, survived a bad paint job and generally didn’t owe us a thing. I did love it though. 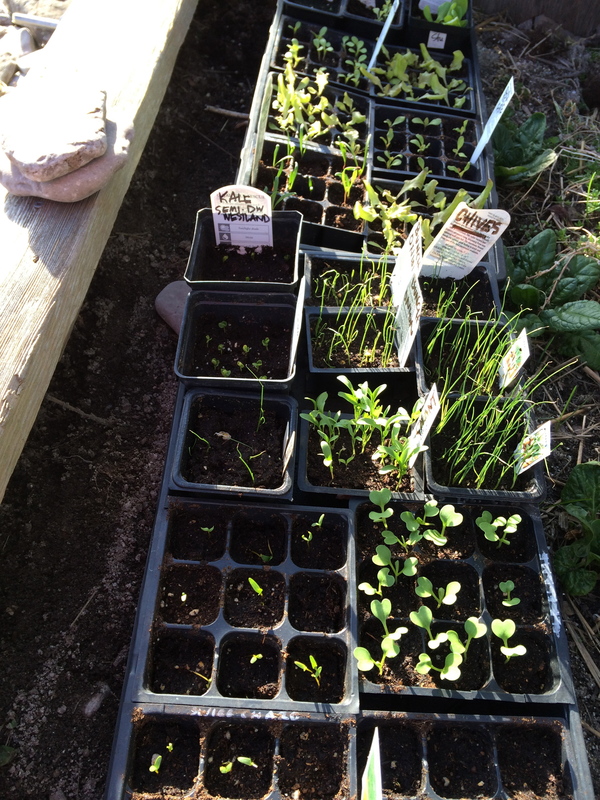 Our current cold frame seems to fill up rather quickly. Not only do we use it to harden off seedlings before they go into the ground, but we also overwinter greens in it boost our spring salads. 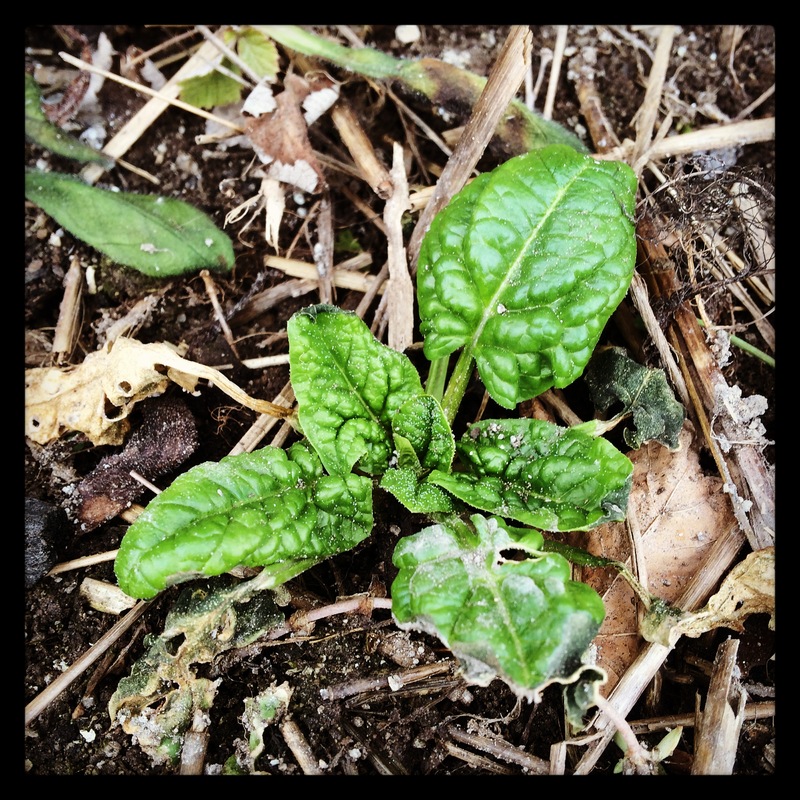 This was a harsh winter and only three spinach plants survived. In the past parsley, chard, arugula and lettuce have all made it through. This year the arugula and chard I planted froze solid, then rotted away. That’s how gardening goes, you do your best, but a lot of it is not under our control. At least there’s spinach. I see a home grown salad in my future. Congratulations! A well done beginning blog for Polka Dot Hen Produce. I enjoyed reading the articles and seeing the photos. And Dottie is adorable! Looking forward to future blogs. Thanks for being my Guinea pig!